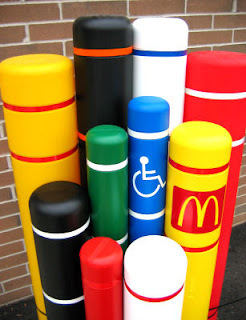 We've had a run on vehicle anti-ramming posts this week ( or bollards as we also call them). The need for them always seems to peak in the late fall leading upto Christmas. Stolen trucks are used to drive through entryways into storefronts. This kind of theft is hugely damaging and severely costly as large windows, doors, framework has to be replaced and store downtime can be crippling to a small business especially if they're waiting for an insurance claim payout or replacement of specialized doors/windows etc. or worse have sustained structural damage and need city engineering approvals before being able to open again. Langley generally seems more targeted for Drive Thru's for some reason and in the past we've seen five or six stores hit (literally) in one weekend. As we reported last week, a big box store in South Surrey was targeted and thieves inside their stolen truck from Ocean Park Ford drove up seven stairs and through the front doors causing a huge amount of damage. We've never seen that stunt before but thats no surprise, thieves try to do their best to get in and we do are best to keep them out. Bollards are now in place so it won't happen again. One of the worst episodes we heard about was a young punk who stole a truck and drove thru a clothing store, smashed everything, destroyed the truck as well and then walked out with one leather jacket for himself. Tens of thousands of dollars worth of damage and he didn't care one little bit, he had a new coat. 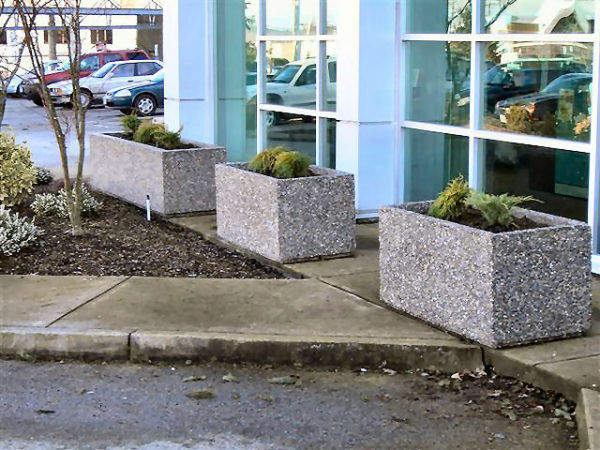 The single most effective way to stop drive-thru's are with anti-ramming bollards set into concrete outside vulnerable entryways. Concrete planters filled with rock, dirt, and plant materials work well but must also be anchored into the concrete, careful consideration to sidewalk access (particularly physically challenged people's access) must be considered. 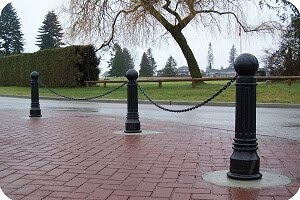 RobberStoppers installs both of the above as well wrought iron decorative and removeable posts. We also sell and install Polyethylene Covers in a variety of colors for bollards that are looking a little worse for wear. 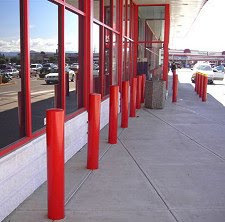 For high risk stores or businesses Bollards placed in the correct spot will work to protect against destructive drive-thru's, in fact once installed RobberStoppers has never had to replace a single one due to another attempt.